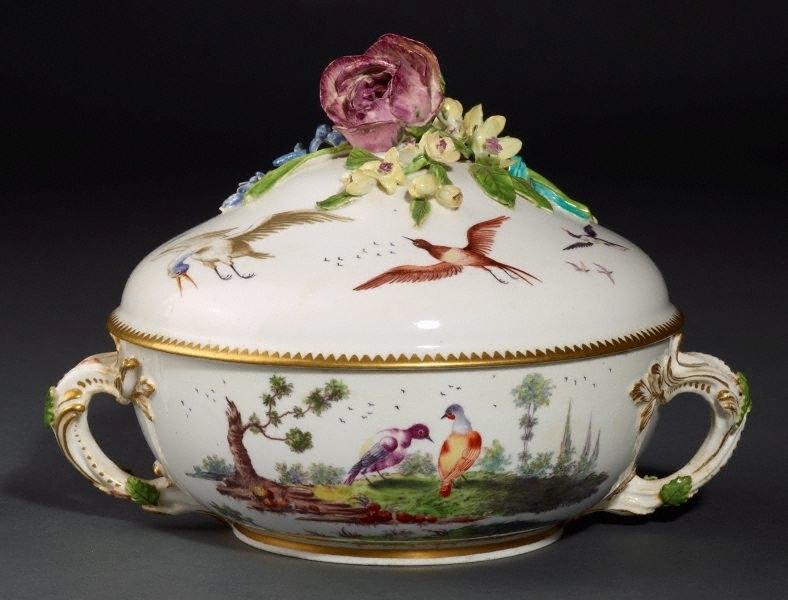 The influence of Vincennes porcelain is apparent in both the form and the decoration of this piece. The large and elaborately modelled flower-spray knop is a Chelsea feature. The bird painting is attributable to Jefferyes Hamett O’Neale. The interior also has elaborate flower painting evidently by a different painter. The bowl is missing its stand.